Hello there, hope you've had a great weekend and this week has got off to a good start for you. It's a Little Extra Cutie-ness day with the Cutie Pie challenge, and this is where we bring you a little more inspiration from the team, plus showcase guest Cuties too......if you'd like to be our guest sometime, all you have to do is take part to be in with a chance! and we want you to show us your super cutest images featuring farm or garden or countryside characters. as well as offering a great prize they also provided the DT with some delightful images to play with.....I went for "Sunflower Girl"
some of the items used with this card were recently purchased at the Sincerely Yours show in Maidstone, it was a great event and seems to be growing in popularity. Adorable card! 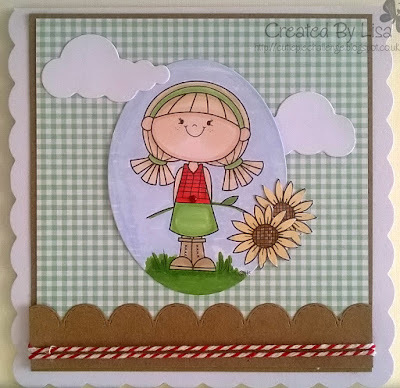 Love the gingham background!! 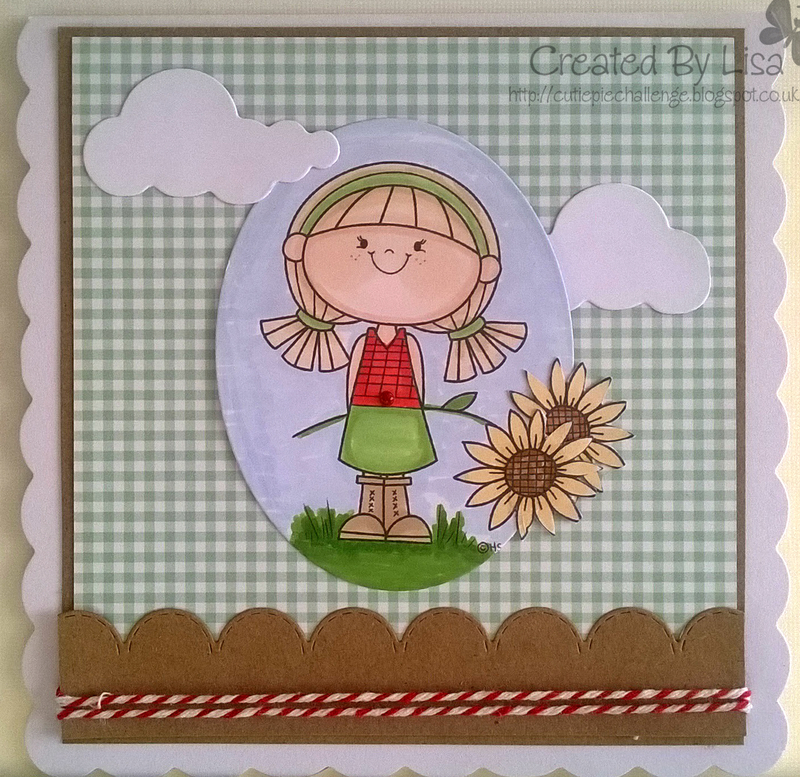 A pretty card Lisa, such a sweet image.